Summary: The house on Arrow Island is full of mystery. Yet when Mei arrives, she can’t help feeling relieved. She’s happy to spend the summer in an actual mansion tutoring a rich man’s daughter if it means a break from her normal life—her needy mother, her delinquent brother, their tiny apartment in the city. And Ella Morison seems like an easy charge, sweet and well behaved. Review: It’s only January right now, and I’ve found one of my favorite books of the year. For reference, my favorite last year was a belated reading of Lucy and Linh by Alice Pung. 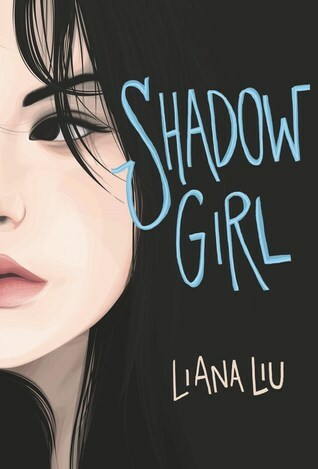 Like Lucy and Linh, Liana Liu’s Shadow Girl is another incredible read with a heroine from a low-income Asian immigrant background and strong narrative thread focusing on family. I read Shadow Girl in one sitting, staying up past 2 in the morning — which was not the greatest idea, considering it’s quite the spooky story. What struck me right away was how real Mei felt as a character. Her inner life and voice, and the mix of guilt and protectiveness she felt for her mother were all too familiar to me. To top it all off, part of my Chinese name is Mei and like the heroine, I used to do tutoring as a high schooler to help pay the bills. The familiarity of Mei’s life made the paranormal aspects of Shadow Girl all the more scary. Admittedly, I have a pretty low bar for scary. I skirt any piece of media that feels even the teensiest bit stressful, and I’m not a fan of ghost stories. But the cover and the Asian protagonist were a strong draw for me, so I gave this book a try, and I’m so glad I did. While people made of sterner stuff may not find the paranormal element as scary as they’d like, the suspense that builds from the shadows within the majestic mansion that Mei goes to tutor in and the Morison family tensions were enough to keep me up through the night. Mei’s relationship with her mother and brother, and her struggle to understand herself and discover the freedom to pursue her dreams, are what make this book. This may be a fraction of the plot — most of it is devoted to Mei’s time spent at the Morison’s mansion and the slowly building mystery of its shadowy past — but it’s what makes this so worth a read. I loved the little details — Mei listening through the walls to her mother vacuuming around their small apartment, how Mei navigates a world of racist comments and wealthy, petty parents who want to hire her as a tutor, and the list goes on. Finally, this is a small detail, but shoutout to how spoken Chinese is handled in this book. Mei’s mother speaks wholly in Chinese, and it’s done in a way that isn’t exoticized or whitewashed over. No clumsy attempts at incorporating translations through awkward clues, or tacky imitations of Chenglish, or randomly shoehorned-in lone Chinese words. Mei’s mother speaks Chinese, and it’s translated in a straightforward way, no decoration or smoothing over. It’s just there. And I loved it. If you’re looking for a suspenseful, spooky story, or you just want to see some high quality Asian representation in YA lit (of course you do! ), buy this now. I’m so happy I read this book, even if it kind of wrecked my sleep schedule. Totally worth it.